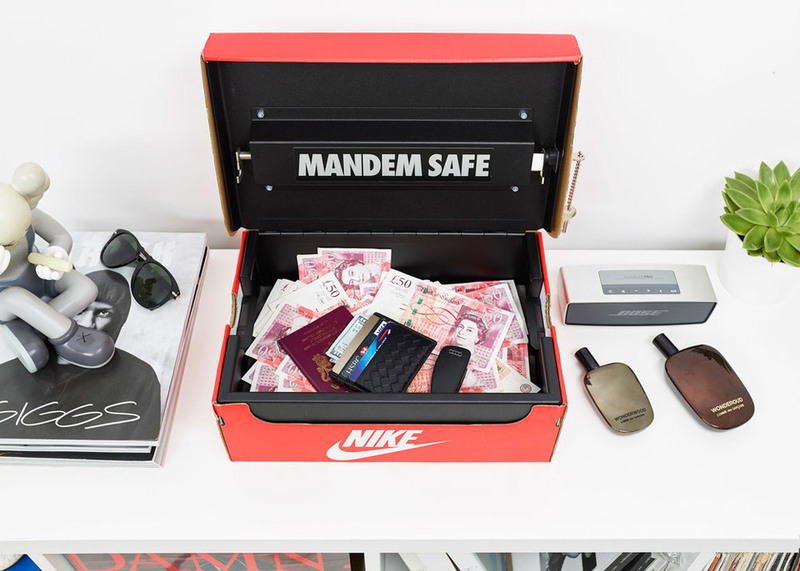 Hypebeast hideout. 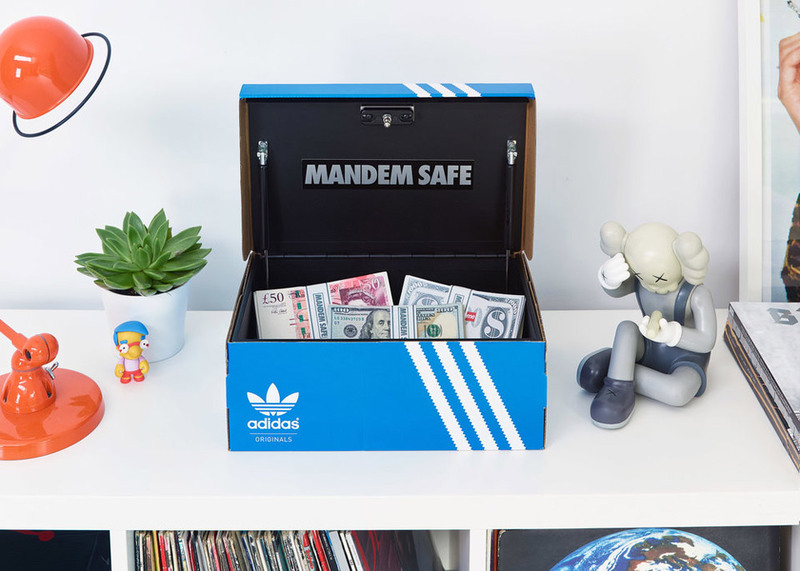 The Mandem Safe is a small safe that’s meant to sit inside an adidas shoebox. 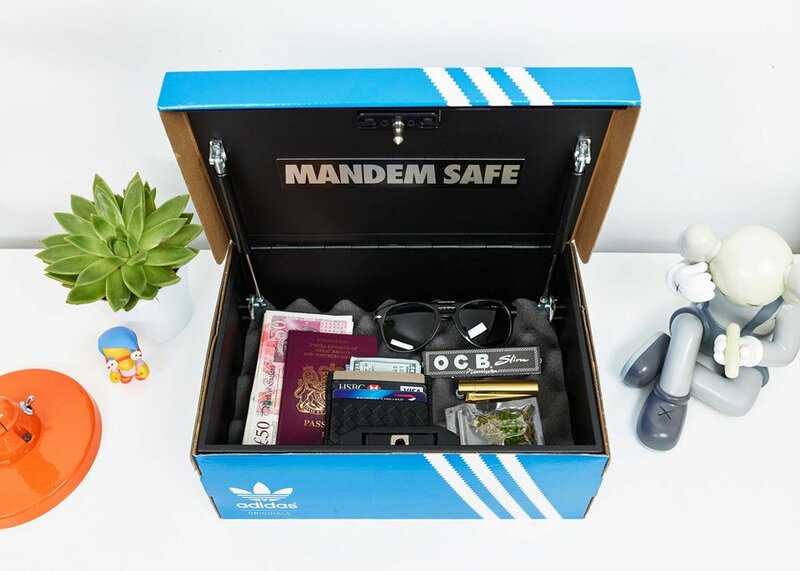 It comes with two keycards and has a foam inlay. 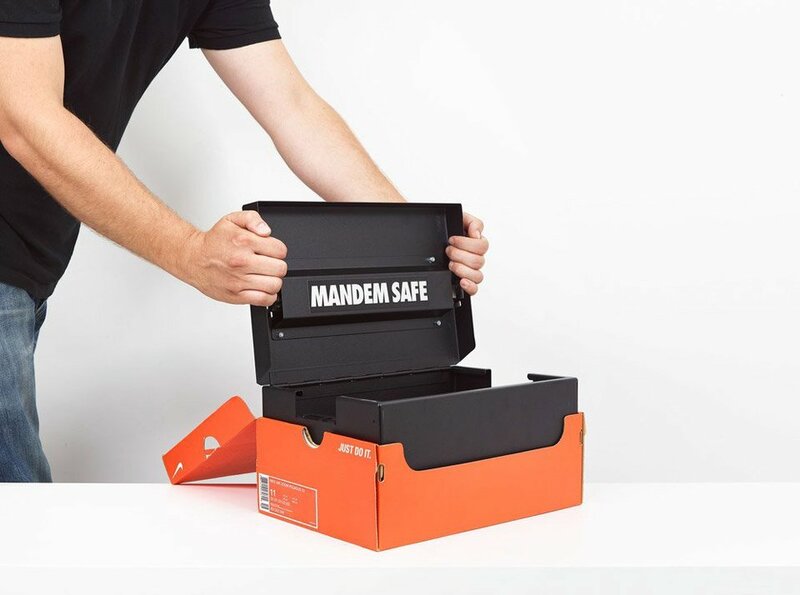 There’s also an upcoming Nike shoebox variant. 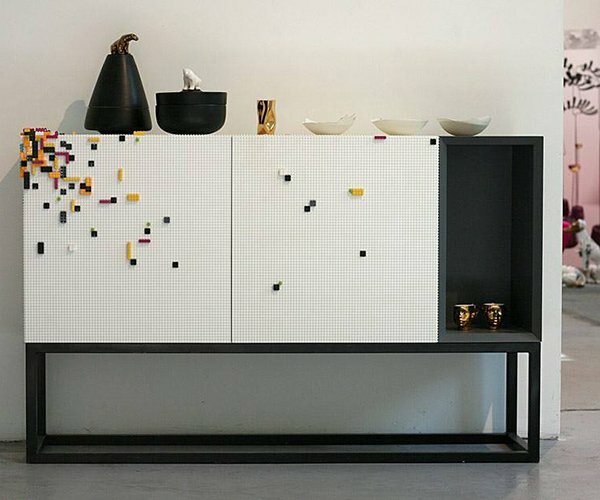 Let’s just hope you don’t have thieves who like to steal shoes.